Hello, Ladies! Chris asked me to drop by while she's on vacation and share some groom-centric wedding inspiration with you. Just who the heck am I? 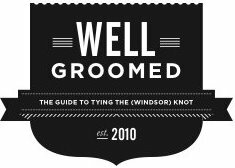 I'm Darren, editor of Well-Groomed, which is a wedding blog that focuses on getting guys down the aisle in style. 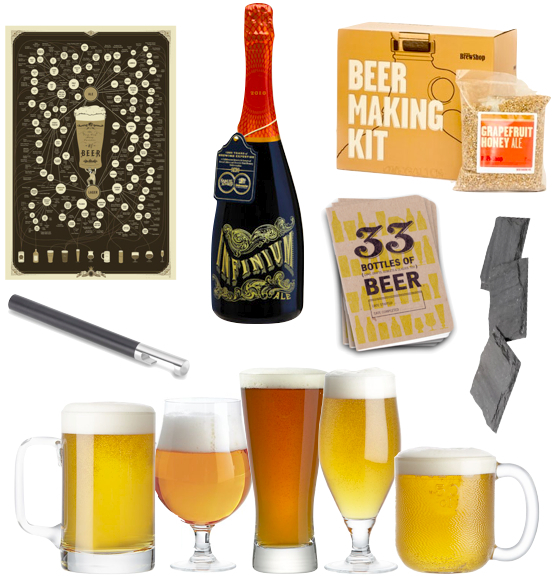 Whether you're stumped on what present to get him for the big day or he's drawing a blank on what to get his groomsmen, this gift guide should point you in several great directions. Just pick one and run with it. Most guys find "their beer" pretty early in their 20s (and maybe teens), but it's never too late for your beer guzzlin' guy to discover a new favorite or two. A beer taxonomy chart will show him everything he needs to know about the flavor properties of every major ale and lager. If he's ready to branch out, a bottle of Sam Adams' beer/champagne hybrid might be in order. Pair it with a sleek bottle opener and rock-hard slate coasters to give the suds a polished twist. By the way, a mug isn't best for every beer, so encourage him to toss the college mascot and corporate logo mugs by hooking him up with a grown-up set. Thanks again for inviting me to P&P, Chris! The Infinium is an AWESOME choice! Great choices! Infinium is pretty tasty. what GREAT groom gifts!!! 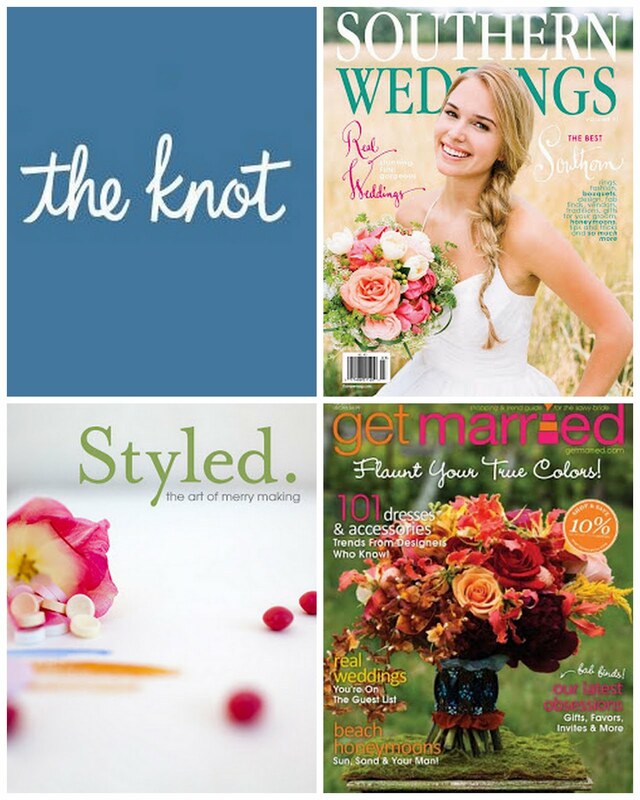 sure to be such a help for brides & grooms looking to give gifts to their wedding party too! I'm almost creeped out by this post-Pop Chart Lab's poster just arrived in our office earlier this week, and I ordered both our little brothers beer brewing kits today! Darren, are you watching me? Grapefruit Honey Ale makes me want to buy a beer kit ASAP. Chris, Thanks so much for inviting me to post. Hope your vacay's going great.